Feeling a little bit of impatience while waiting for Star Wars: The Last Jedi? Already combed through all of the bonus features on the Rogue One Blu-ray? Watched all of Star Wars Rebels? If you're looking for some new Star Wars content in the meantime, the new Star Wars Forces of Destiny shorts may just do the trick. The first episode was released a few days ago and Disney has just released the second and third shorts online. The best part? Princess Leia returns to a galaxy far, far away. Also, we get some more Rey and BB-8 action. Starting with Star Wars: Forces of Destiny episode 2, titled "BB-8 Bandits," which was released during the 4th of July holiday on the official Disney YouTube channel, it picks up right where episode 1 left off. Rey and BB-8 just spent the night in after escaping the Nightwatcher Worm and are now on their way to Niima Outpost. Unfortunately for BB-8, Tito, the alien that was trying to steal the droid when Rey met him, hasn't given up yet. It then turns into Rey against a gang of speeder bikes in a chase reminiscent of Star Wars: Return of the Jedi. Speaking of Star Wars: Return of the Jedi, that is the time period that the third episode of Forces of Destiny takes place. "Ewok Escape" takes place shortly after Princess Leia met Wicket the Ewok as they make their way to the Ewok village. On the way, the pair encounters a couple of Stormtroopers who are harassing some of Wicket's friends. The prospect of more Ewoks in the Star Wars universe may be unappealing to many, but more Princess Leia, given the untimely passing of Carrie Fisher late last year, is very welcome. 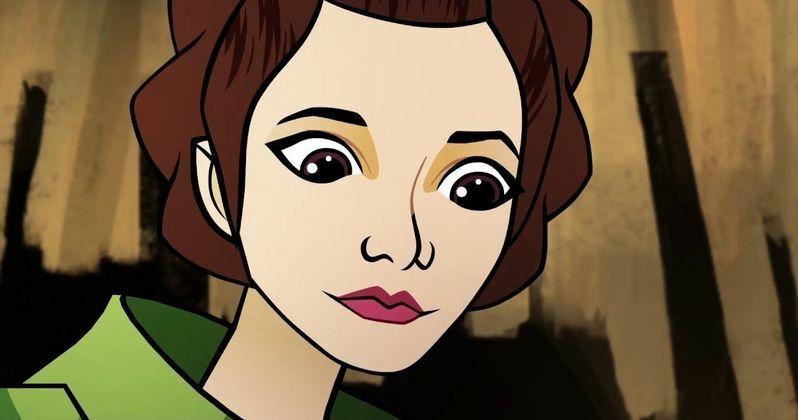 Unfortunately, Carrie Fisher wasn't able to lend her talents to Star Wars: Forces of Destiny. Instead, Shelby Young has stepped in to try and fill those very big shoes. Most of the characters in these shorts, which are centered on the female heroes of the Star Wars universe, are voiced by the actresses who play them. Rey is voiced by Daisy Ridley, Felicity Jones will be back as Jyn Erso in a later episode, along with Ashley Eckstein as Ahsoka Tano and Lupita Nyong'o as Maz Kanata. The only other character being voiced by a different actress is Padme Amidala. Catherine Taber is stepping in for Natalie Portman, who for whatever reason isn't reprising her role. Disney is releasing these new Star Wars: Forces of Destiny shorts online before they air on Disney Channel, which will happen starting on July 9. We still have several more of these to look forward to, with a little more Princess Leia action to come as well. Be sure to check out the new Star Wars: Forces of Destiny shorts for yourself below.